Why Does Stainless Steel Rust? Stainless steel is a ubiquitous material with a wide variety of applications–from use in medical devices, to automotive parts, to jewelry and cooking utensils. Much of the “magic” of this metallic material is that it is stainless, in theory, it doesn’t rust. However, if you have ever owned or used a stainless steel product it is likely that you have noticed rust (corrosion) and you may have even questioned if its name is a misnomer. Why does a material touted as “stainless” rust? Most people are familiar with metals, to include stainless steel, corroding when it’s exposed to environments such as seawater. Often, without understanding the exact science of what is occurring, people accept that exposing a metal product to seawater has a damaging effect. The science behind corrosion from seawater is that the water contains chlorine, which is corrosive to metals, including stainless steel. However, corrosion of stainless steel can also occur without producing any corrosion products to analyze (other than rust), and when an obvious corrosive environment is unable to be detected. To understand what makes stainless steel rust it is first important to understand the science that typically prevents it from rusting. Steel is made of iron and carbon, and stainless steel contains iron, carbon, and anywhere from 12-30% chromium. Stainless steel can contain other elements such as nickel and manganese, but chromium is the key element which makes it rust resistant. When the surface of normal steel is exposed to oxygen, it usually forms ferric oxide (Fe2O3) which has the well-known red rust color. Ferric oxide doesn’t form a continuous layer on the steel because the oxide molecule has a larger volume than the underlying iron atoms, and eventually spalls off leaving fresh steel exposed which then starts a deleterious rusting cycle. When stainless steel is exposed to oxygen, chromium oxide is created on the surface of the steel because chromium has a very strong affinity for oxygen. The chromium oxide is a very thin layer which doesn’t spall off, and it prevents further oxidation of the stainless steel. Even if stainless steel is scratched and the chromium oxide layer is removed, a new chromium oxide layer will form and protect the rest of the stainless steel beneath it. As long as there is sufficient chromium present, the chromium oxide layer will continue to protect the stainless steel and prevent it from rusting. Have you ever used a steel wire wheel or steel wool to clean off a stainless steel tool, and then the stainless tool rusted in the same spot which was brushed clean? Or have you seen a stainless steel container or sink rust? Stainless corroding in the absence of a corrosive element (such as chlorine) is usually from very tiny steel particles touching the stainless steel surface. Chromium can protect stainless steel if the localized concentration is in excess of 12%, but if you cover the stainless surface with sufficient steel particles, then the localized concentration of chromium can fall below the 12% threshold and the chromium oxide layer fails to protect the stainless steel from oxygen attack. If this type of corrosion happens to stainless steel, it is fixable by: (A) Cleaning off all the rust, and then (B) removing the tiny steel particles by thoroughly cleaning the stainless steel part, usually with a solvent. These two steps should allow the chromium oxide layer to protect the stainless from further oxidation. A less common form of rusting in stainless steel is after the stainless has been exposed to very high temperatures, often in the 750-1550°F range (400-850°C)1. This type of corrosion is often seen in welding applications in which stainless is heated and then cooled. If this happens, “sensitization” can occur which is where the carbon and the chromium bond together in the stainless steel and form carbides. These carbides situate themselves at the stainless steel grain boundaries, and the grain boundaries become deficient of chromium. With lower chromium concentrations at the grain boundaries, the chromium oxide protective layer can become discontinuous and rusting becomes possible. “Sensitization” can ruin stainless steel forever; however the damage can sometimes be mitigated with complex heat treating. Although rust is something most of us see on an everyday basis and appears to be a simple occurrence it can result from a number of complex processes. Understanding the materials science of metals is critical to ensuring correct product performance and fixing issues, such as rust, as they occur. It is also critical to understand the materials science of metals and rust when working on a failure analysis investigation involving corrosion. If you find yourself dealing with unexpected rust or other metal performance issues please comment below or reach out to us at info@polymersolutions.com. Alex Wensley completed his M.S. in Materials Science through Virginia Tech and earned his P.E. licensure in North Carolina. 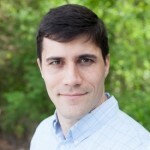 He has years of experience with forensic and metallurgical engineering, which includes failure analysis and quality control work for industrial clients as well as customized testing and failure analysis of materials for litigation. The best way I have found to stop stainless from rusting is to apply a protection to it. You can get metal protection in all forms, usually a liquid, which creates a layer to protect it. Similar to wax on car paint. Even if rust has started to form, it can often be removed and then the protection applied. This method has always worked best for me. I put sea salt in in my stainless steel water bottle for electrolytes. It rusts the salt. I have funny rusty things floating in my bottle and it corrodes the side of the bottle. I am no longer using steel water bottles because I do not like the corrosion and I like and I like salt in my water. My stainless steel appliances were exposed to a smoke fire. The fridge has tiny circles of rust on it, any ideas on removal. The microwave is cloudy and discolored. Any ideas on that? Thank you for reaching out. You are welcome to email info@polymersolutions.com to discuss your question in more detail. My distiller is starting to show rust spots on the inside, can’t apply a protective coating. Hi! Thanks for your article. I make beach huts and storage units for ocean front properties. What metal do you reccomend I use to build these products. I have recently switched over to stainless steel but it still corrodes and turns orange. Thanks. Thanks for reaching out! There are types of stainless steel that are not as resistant to chlorine corrosion as others. Those in the 300 series of alloys that are austenitic stainless are good options, and the molybdenum content of 316 makes it more resistant. Ultimately, any metal that is exposed to spray from the ocean will eventually corrode. One option would be to apply an epoxy or paint coating to exterior surfaces. In that case galvanized could be used, so the reduced metal cost might wash out the increased cost of paint. I hope this is helpful to you. Please let us know if you have any other questions. we are one of the ss material supplier to the pharma industry .As we have supplied SS316L material to the Pharma Industry but it gets corrosion with in 7days .. can you please help me out for not to get corrosion easily. and which grade material should i opt? for not affected to corrosion ..
the place which the SS316L material is placed which is nearer to chlorine fumes area. Thank you for reaching out! You are welcome to email info@polymersolutions.com to discuss your problem in more detail. Can Stainless Steel Drums Rust? Yes, but here’s how to avoid it. Any suggestions on removing rust spots from stainless. I heard a naval gel can be effective but I’m concerned about discoloration and that it might not be ideal for Chromium. I hope that information is helpful to you! Please reach out again if we can be of further assistance. Thank you for that informative article. I found it when researching for a solution to a problem I encountered with a little DIY spice rack project for the kitchen. Not long after creating a it, rust spots appeared on the sheet of metal I had used as the wall mounted base. Using loop & hook tape to adhere the 12X24 galvanized metal (22G) sheet to the wall above the oven, I used metal tins with magnets to store the spices. It’s under these magnets that the rust has reared its head. I know that what I’m using isn’t stainless steel, so this may not be the appropriate venue for my question, but can you recommend a solution for this little rust problem? Galvanized steel uses zinc as a protective coating for steel, and zinc acts as the anode and preferentially corrodes before the steel. Galvanized steel can usually last a long time before all the zinc is removed and the steel underneath starts rusting, but without a photograph it’s hard to determine what type of corrosion mechanism is occurring. Initially I would check to see if the magnets are scratching off the zinc coating and I would look to see if any moisture is getting trapped under the magnets. If the magnets aren’t scratching the coating and no moisture is present, then it might be a galvanic corrosion issue and you will have to insulate the magnets from the galvanized metal sheet. I would suggest using non-conductive spacer under the magnets (like wood or plastic), or you can clear coat the sheet to prevent electron transfer. I hope that helps you with your project! Let us know if you have additional questions. Wow. Thank you for taking the time. A clear coat it is then. I’m fairly certain that the rust spots were not due to scratches, but rather by steam coming up from the stove-top becoming trapped between the magnets and the metal sheet – now-ka a galvanic corrosion issue. I’m so glad we could help! Please keep in touch & let us know if you have other material science questions. Can an errant electrical current (possibly a bad ground from the battery) cause stainless steel corrosion due to a disruption in the electron migration of the chromium to the outside of the steel used in a vehicle’s stainless steel parts? The stainless steel frame is being used as an integral part of the battery ground system. Thanks in advance for your timely reply. It is possible for stray current to drive corrosion, similar to electrolytic polishing, but only if the subject metal part is attached to the positive terminal of the battery which would make it act like an anode. If the stainless steel vehicle frame is attached to the negative battery terminal, it should act like a cathode and corrosion would not occur. However, corrosion from an electrical source needs to be a complete circuit before electrons flow, so just touching one battery terminal or the other may not be enough to induce/inhibit corrosion. Unfortunately, there are too many variables which influence corrosion to answer the question thoroughly without more information, as other factors such as the environment (moisture, temperature, reactive elements), the electrical energy present (current, voltage), and the stainless steel frame (alloy, surface area, conductivity) would be important in determining whether the chromium oxide layer on the stainless steel would be able to resist corrosion. If I was analyzing the corrosion on a stainless steel vehicle frame, I would begin my analysis by examining the corrosion products and the corrosion pattern to try and determine which corrosion modes didn’t match first, and then see if electrical current was a likely culprit after I eliminated other mechanisms. If you have follow up questions or would like to talk about analysis I encourage you to reach out to us at info(at)polymersolutions(dot)com. My stainless utensils have rust spots, mostly the spoons. And yes I put them in the dishwasher. I’ve used one brand of dishwasher detergent. And I’m thinking that’s the problem. Should I throw them out and start over.? We are specializing in indoor & outdoor furniture based here in Philippines. I have a specific question for you. We have items that has stainless steel base with a metal attachment at the top as part of it’s assembly. Before stainless attached to it’s top, stainless steel undergo “passivation” process to eliminate rusting we also introduced “Copper Sulfate Solution” to determine the presence of iron oxide on the stainless surface. Even we execute this parameters we still encounter rusting on it’s countersunk tabs. Can you please give as an idea how to eliminate this problem. We are really concerned about this because our production is really affected with rusting problem. Can you help us? Based on my observation, it is due to stainless steel preparation on site i.e. no specific tool used during stainless preparation, tools for metal is used for stainless. I am currently, conducting an actual testing to determine why this problem keep on occurring. Thanks for your question and inquiry! I’m going to pass it along to our technical team and will follow up directly via email. Please feel free to call us directly to discuss your situation with one of our experts and determine the testing that will help get to the root cause. You can expect a follow up email from us. I’m thinking of purchasing a stainless steel brushed vanity for my bathroom in Florida. This is the only bath in condo and gets used seasonaly and once a month thereafter. I’m concerned about rust or how long it will last. The top/sink is pocelaine and the vanity itself is stainless steal. Can you give me your thoughts? I’m a welder/fabricator in a stainless steel shop that builds brewery tanks. Mostly use 316 stainless and my question is in relation to hammers. The shop tells us we can’t use regular tool steel hammers thinking that where the hammer hits will later rust. I took formal training for welding which included metallurgy courses and from what I was taught hammers in good condition, free of any surface rust or splinters, can be used on stainless with no negative effects. The theory being the tool steel is so much harder that the “scratches” are just the oxide layer of the stainless being removed. It’s true that hammering disturbs the chromium oxide layer on stainless steel, and a hammer in good condition should leave behind smooth features and a new oxide layer will form to protect the steel. And you are also correct that a tool steel hammer is harder than stainless steel hammers, which probably wouldn’t leave behind significant iron particles assuming the hammer is clean. It is common policy to use stainless tools when fabricating stainless parts, just so iron/rust contamination is never a concern, but it is probably fine to use a clean tool steel hammer or anvil for forging stainless parts. I would definitely agree that tools which are used abrasively should be made of stainless if they are used on stainless steel parts. Hi, i m from lighting industry. Recently encounter 5-7 pcs swimming pool lighting out of almost 100pcs of manufacturer listed grade of SS316 developed a coating similiar to rust. Upon close inspection underneath the developed coating, surfaces of SS316 are still shining smooth is hard to convince thats the rust oxide. Our thoughts leaning towards ‘electrolysis’ may occur due to the stray voltage from the lighting, but lacking knowledge to prove the case. Hope to seek professional advance. Thanks for reaching out to us! Alex and I discussed your inquiry and feel we can help but would need to see a sample of your material and problem in order to provide insights. I’ll send you an email to follow up on this. Thanks for making such a cool post which is really very well written. Thanks for reading! We are glad you enjoyed the article. We love what we do! Thanks for the great article, I run a 20,000 L wastewater treatment plant and was thinking of relining the interior of the tank with 304 stainless steel as we have pinholes forming in the existing metal tank. The stainless steel will be exposed to room temperature wastewater only with a PH of approx 5.5 to 6.5. Do you forsee any rust issues with this kind of environment?What will its longevity be? Unfortunately aqueous environments can have complex corrosion mechanisms, so I can’t recommend any material selection for corrosion prevention without knowing how the entire system is designed and all the materials involved. As a rule of thumb though, the chromium oxide layer on stainless steel is stable in water with a pH range of 5-12. Hi! Thank you so much for the informative article. My question is regarding my all stainless steel watch. Parts of the stainless steel band and case have some brown staining and they appeared not long after 4 months of purchase. I am careful when it comes to contact with water even though it claims to be water resistant and the lady at the store told me it could be from using perfume but I do not use it on my wrists. Any idea what could have caused the staining and is there any chance it could be removed? It would be hard to tell if it was definitively rust without looking at it using a microscope, but I recommend using strong solvents to clean the watch first. Stainless steels aren’t hurt by solvents, so if the brown stain is organic in nature such as from perfume or oils, you could try using a strong solvent such as Acetone and a jewelry sonicator and see if the stain comes off. If the stain is indeed rust, then you can use something like Evapo-Rust to safely remove the rust without causing abrasion to the watch. Chlorine from the ocean can cause stainless to rust, and certain types of stainless alloys are more corrosion resistant than others. Even though your boat is newer, it may have a different alloys than the other boats. If you boat is rusting in its current location, then I can only recommend to replace the stainless components with a better alloy, or you can clean the rust off your current stainless components and then coat them with a chemically resilient polymer such as an epoxy/polyurethane. Those coatings will be able to keep the chlorine in the ocean water from corroding the stainless steel. I just bought a stainless steel dishwasher. Was this a bad idea because of rusting? It’s a Maytag. Thanks for reading our article and reaching out! We recommend reading the owner’s manual and cleaning your Maytag with stainless steel cleaning products. This should help prevent rusting. Hope you’re enjoying your new appliance! Thanks for the information .Really very using . is it possible to test stainless steal which has corrosion to determine what exactly caused the corrosion? for example chlorine or environmental? Nice & useful post ! This is a fantastic article. Perhaps in the future you can talk about the differences in corrosion resistance between the 5 types of stainless steel or discuss the applications of cathodic protection? Either way, I look forward to seeing more metallurgy articles from you folks! Thank you for reading our blog and leaving feedback. We love when our readers recommend blog topics – so we have put your recommendation on our topic list for a future post! I have used stainless steel 316L plates for a kitchen unit floor and sealed the joints using Argon welding. But now the joints are showing some orange rust like scales. Any suggestions to prevent further scanning and to avoid such rusting. Thank you for reaching out! There are a variety of reasons objects rust. In addition, there are a handful of ways to prevent rusting. However, to better understand the issue you would need to know what exactly is causing the object to rust. You are welcome to reach out to our experts at info@polymersolutions.com for further insight! Thanks for the informative post. I wonder if the thickness of steel sheet matters when it comes to corrosion. As per field experience of hot water tanks being used in solar water heating systems (temperature 50 to 80 deg C), tanks manufactured using SS 304 sheet of 0.44 mm are more prone to rust than the the tanks manufactured using thicker sheets like 0.8 mm or 1.2 mm. Would you please some light on this phenomenon. I spoke with Alex and he shared that thickness should not matter regarding corrosion rate. There must be some other variable that is different between the two different steels. 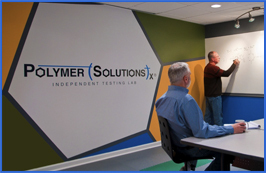 If you’d like to contact us to discuss how we could help with testing, and resolving this issue, please email us at info@polymersolutions.com or call (540)961-4300. We’d be glad to take a look at a good vs. bad sample. Fascinating and very helpful article. I have two questions. The first is practical advice and the second is more just a curiosity. (2) If you get rust dust (e.g., from a corroded screw) onto a stainless steel surface, would that contribute to the corrosion of the stainless steel itself? I think based on your article it would not, because I don’t see how rust dust would remove or affect the chromium content, but I have always been curious about this. We are a glass railing facade contractors .we use stainless steel balusters of 316 grade with satin finish(320 grit) since last 15 years. Balusters gets rustic near welding parts and overall also. Is it due to grinding belts or quality of the steel. What are some common types of stainless steel that do not have Nickel in their composition? I have had stainless steel forks and spoons for 45 years. We moved 27 years ago and finally got a dishwasher. Lately I am finding some rust on forks and spoons after washing and using the heat cycle. I also have used a less expensive detergent. Could the detergent or heat drying cycle caused rust. How Do I stop it. Do I use a coating on the utensils safe enough to eat off them? Any help would be appreciated. If your stainless steel is “rusting” it’s not *Real Stainlesss. As long as there is sufficient chromium present, the chromium oxide layer will continue to protect the stainless steel and prevent it from rusting….Chromium can protect stainless steel if the localized concentration is in excess of 12%, but if you cover the stainless surface with sufficient steel particles, then the localized concentration of chromium can fall below the 12% threshold and the chromium oxide layer fails to protect the stainless steel from oxygen attack. Great informative article.We supply thin copper and brass shim stock which our clients have been using for cladding on the aesthetics side. Normally we don’t worry too much about the aesthetics as majority of our products are used on the industrial side. However this is a new animal for us. How would we go about preventing oxidation or corrosion on copper or brass? We do have slightly different grades etc. Skipping past the science, I have knives and utensils which I use for cooking outdoors. Over time, being exposed to the elements, these items develop rust pitting that is very difficult to remove. I attribute the rust to cheep Asian produced articles. I have old stainless steel ware that never shows any signs of rust. Now the science is these new utensils do not contain the correct mix of alloys to be truly labeled stainless steel. Its a nice article! Thanx for sharing it:). As stainless steel rust , like steel is exposed to oxygen and moisture for long period of time .we can make cure by applying wax paint on it. This article is about how to protect the stainless steel & prevent it from rusting as well as metal performance and fixing issues. I want to build a wooden boat and am considering using stainless steel screws to put it together. What are your recommendations? Its a very useful articles for Stainless steel. Stainless steel is a popular metal for appliances these days. Many kitchen appliances, both large and small, are made with stainless steel. Pots and pans and eating utensils are also made with stainless steel. One advantage of stainless steel is that it is very resistant to rusting. Apply a thin layer of lubricant (such as mineral oil) to the surface of the stainless steel. This prevent rust from forming.Thank,s for sharing such a useful articles. Stainless steel is not fully stain or rust-proof, it is just more resistant to corrosion. This blog post will give you a brief overview about stainless steel & its properties. Thanks for sharing. Helpful blog! About stainless steel rusting. Thank you for sharing it. Acid based cleaner is used to protect stainless steel from rusting. Good Blog! Stainless steels are a wide-ranging topic, and this blog post to give a great overview of stainless steel and its properties. Good stainless steel will last a very, very long time, and should not rust easily, if at all. Stainless steel has excellent corrosion resistance, lustre, strength and durability. stainless steel is not fully stain- or rust-proof, it is just more resistant to corrosion. heat treatment at 680°-4 hr soaking, glass bead blasting , reaming , cleaning ( using trichloro ethylene)…..can anyone suggest what is going wrong? Hello! If you’d like to talk your question & problem through in detail please email info@polymersolutions.com. I am using a stainless steel water filter which was stored in my store room. But now it get rusted. Should I use it or not for drinking purpose…? Great question! You are welcome to email info@polymersolutions.com to discuss your question in more detail. We have welded shafts & plates SS316 stored in dry & cool wooden box. Is rust protector required to maintain the surface in top form after 2 years? If needed, please recommend treatment & product for preservation. I have a stainless steel All American pressure canner, the kind that has a friction fit rather than a rubber gasket. It has been sitting closed for 10 years or so. Recently opened it and found the interior base is spalled, as if many small chips had flaked off. Could this have happened just from the canner sitting closed up for years? Very informative article, thank you for sharing. I am restoring a 50 year old car. Holding the gas tank to the car are 2 stainless steel straps, about 1.5″ wide. They had a thick layer of undercoating, plus 50 years of gunk on them. To get all the undercoating and gunk off, I used a wire brush drill attachment to scrape it all off. It did a good job of scraping it all off down to the shiny metal, and then I hand-sanded them to remove most of the wire brush marks. My question is, should I do something else to them to ensure they do not rust or corrode? Spray clear coat perhaps? Will a rusty 1cm wire pressed against stainless steel sheet cause the latter to rust? The reason I ask is that a range technician tightened the screw on our stainless oven by inserting a rusty metal wire into the screw hole on the stainless steel panel. He inserted the small piece of rusty wire in order to tighten the fit since the hole drilled on the stainless steel panel was a tad too big for the screw used by the manufacturer, thus resulting to a loose screw. Am I correct in being concerned that the stainless will rust at the contact points and eventually develop a hole? This portion of the assembly is generally not visible from the outside but could be exposed to liquids when the stove is being cleaned. Thank you for reaching out! You are welcome to email info@polymersolutions.com to discuss your question in more detail. Interesting and informative. We just finished a project at our church where new Granite platforms and steps were installed to the tune of $ 500,000. It was ready for Christmas eve last year. 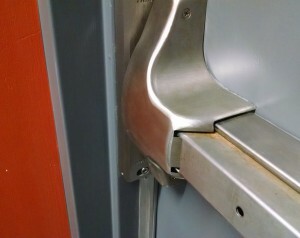 Last part installed were the SS handrails. Yesterday afternoon I noticed pronounced rusting on both the horizontals and verticals. It is no longer smooth to the touch and has a definite brown cast. Any ideas other than inferior or contaminated materials before I try and contact the contractor? I know a lot of these materials are imported and from my days as a property manager, I’ve very little use for copper or brass imported from China. Useful Article. Thanks for sharing it. Wow,Amazing article to read. Ya I used to think many times that how can a stainless steel gets corroded .Stainless steel has so much strength, flexibility and resistance to corrosion that people have start using every where and now commonly used in modern construction. By reading your article got an idea about how a Stainless steel corrodes. Thank you so much for reaching out! We are glad you enjoyed the article and found it useful. Thank you for taking the time to leave us a comment. We are happy to hear that you found this article helpful. Hi, Will hydrogen sulfide containing well water at about 1 to 2 ppm cause corrosion to a austenitic stainless steel container if the pH of the water is about 8.2 and there are no microbes present or chloride ions? The sulfide forms a dark layer and i wonder if is reacting with any of the metals (Ni or Cr) and compromising the water. At our Beachhouse, the door knobs and associated hardware rusts within months. Are there rust resistant options? If not, what is the best coating? I really like how you talked about stainless steel bars having very thin layers of chromium oxide which doesn’t spall off and prevents further oxidation of the stainless steel. My husband wants to use some stainless steel bars for a machining project and I was curious about if the steel would rust. Thank you for the information about how if there’s sufficient chromium present, it will continue to protect the steel and prevent rust even if scratched. What is 18/10 stainless steel? Great question! The numbers refer to the amount of chromium and nickel (respectively) in the product. Thank you. Very useful article. Stainless steel does rust, pitting corrosion is the most menacing and dangerous type of corrosion. Very helpful blog. Thanks for sharing! Stainless steel has many grades. When choosing products, it needs to choose the right ones. Regular maintenance is the most important. which is very helpful for us. Thank you for reaching out! You are welcome to email us.ind.psi@sgs.com to discuss your question in more detail. I own a red stanekess steal tea pot that I boil my 7 month olds water in – https://www.crateandbarrel.com/le-creuset-1.25-qt.-demi-cerise-red-tea-kettle/s278823 . I just noticed there is some rust on the inside of the pot. Im not sure how long its been there or how long hes been drinking the water. Do you know of the risks assiciated with drinking such water? Great question! You are welcome to email us.ind.psi@sgs.com to discuss your question in more detail. Your blog was very interesting to read. Really informative and worthy. Keep posting such knowledgeable posts. Amazing blog post thank you for sharing.. Very interesting, Good job and thanks for sharing such a good information.